Welcome to Alpaca Ventures, home to over 100 quality alpacas, located on a rolling 225-acre farm nestled in the Laurel Mountains of Western Pennsylvania. We are centrally located 2 hours east of Pittsburgh and 2 ½ hours west of Harrisburg. Alpaca Ventures is one of the largest farms in Pennsylvania offering a variety of colors including a large selection of grey huacayas and dark suris. Our cornerstone suri herdsire is the legendary, full Peruvian, Cantano of Peru who produces outstanding show quality dark color suris. With seven years of experience and our 24/7 customer support, our customers can rest assured that we are here to help you succeed. We can help our customers with all aspects of the alpaca business including marketing, financing, sales, breeding, veterinary, showing, training and care for the alpacas. 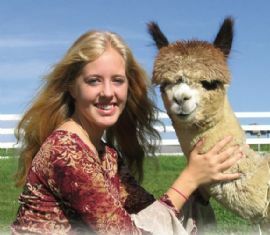 You’re not alone with Alpaca Ventures by your side, so YOUR SUCCESS will be OUR SUCCESS! Let us help get you started in a wonderful, relaxing lifestyle that can be a profitable venture! Call 1(866) 722-2482 or email us to set up a farm visit today! We love showing off our alpacas! Copyright ©2009 Alpaca Ventures. All Rights Reserved • Web Site Design by Search Engine Optimization Advantage, Inc.